Oct26 Comments Off on Enter the My Dear Hamilton Goodreads Giveaway! 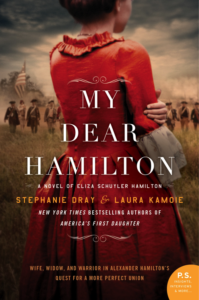 Enter the My Dear Hamilton Goodreads Giveaway! We’re excited to share that you can win one of 50 copies of the ARC of My Dear Hamilton in a Goodreads Giveaway (U.S. only). ← Order a Signed Copy of America’s First Daughter!